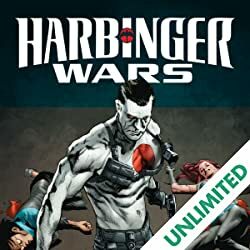 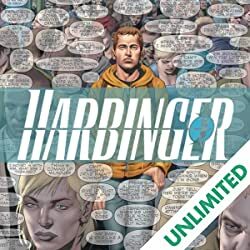 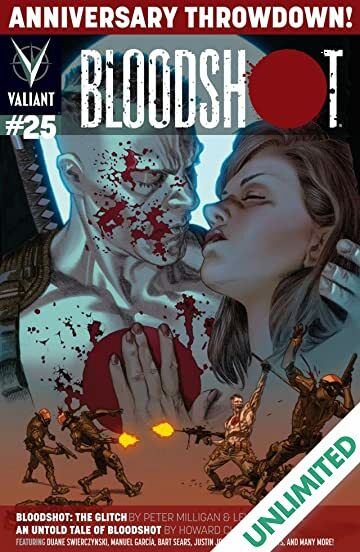 A murderer's row of all-star talents is going all-in for an oversized, 48-page milestone anniversary blowout chronicling the classified history of Valiant's most dangerous, most brutal, most relentless hero -BLOODSHOT! 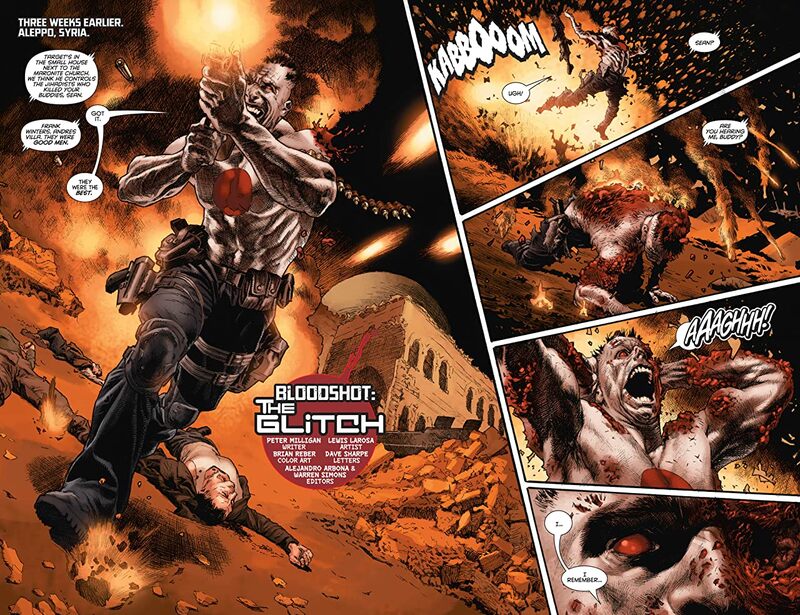 Meet the man behind Bloodshot - or is he? 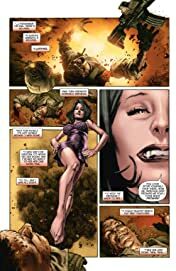 - when one soldier's untapped killer instinct takes over in a feature-sized lead tale of blood, guts, and heart by Peter Milligan and Lewis LaRosa! 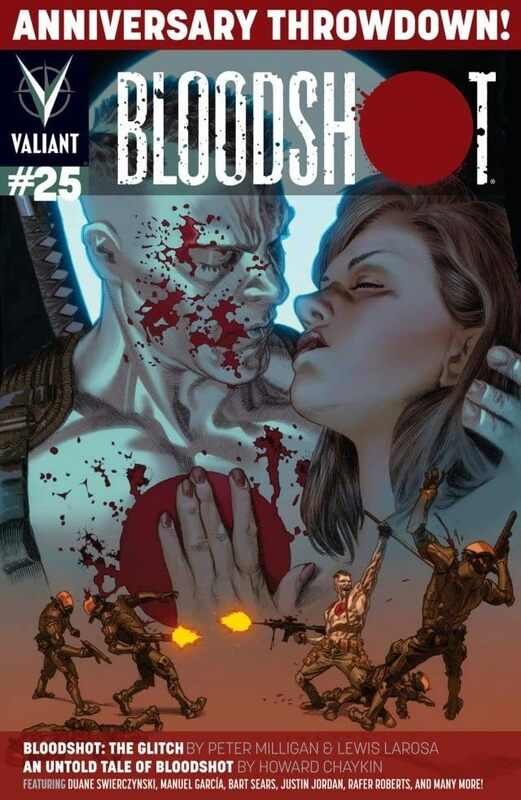 PLUS...an all-new story by comics master Howard Chaykin! 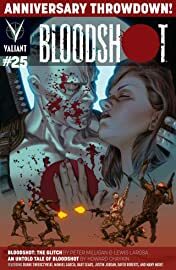 The original BLOODSHOT launch team of Duane Swierczynski and Manuel García join forces again for an all-new adventure! 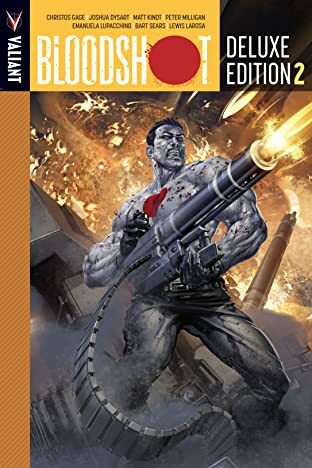 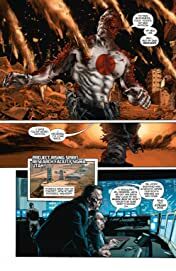 AND...Duffy Boudreau and Al Barrionuevo take you on Bloodshot's journey from the end of the line with H.A.R.D. 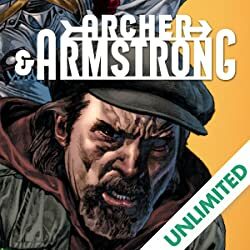 Corps to the Colombian jungle where Unity found him! 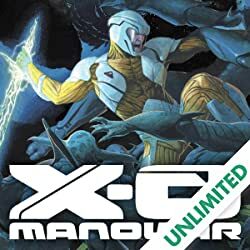 Along with many more bonus stories and artwork, a complete cover gallery, and more!